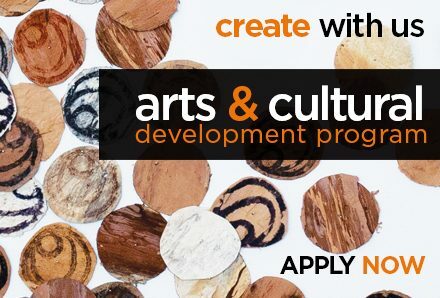 Create NSW’s Arts and Cultural Development Program (ACDP) provides funding opportunities for NSW-based arts and cultural organisations, NSW professional artists and arts/cultural workers across a wide range of artforms and disciplines. The program funds everything from multiyear programs to one-off projects and professional development opportunities, across visual arts, museums, history, literature, performing arts, music and more. Create NSW also delivers on defined and developing priorities, new opportunities through specific strategic initiatives and targeted support. As new initiatives and other opportunities are developed throughout the year, information will be published on our website. Whether you’re a first-time applicant or have experience applying for Create NSW funding, you’ll find important information to help your application in the Arts and Cultural Development Program Guidelines. Create NSW is also committed to improving gender diversity by supporting applications that demonstrate gender equity. Need this information in another format? TTY users Phone 133 677 then ask for (02) 8289 6520. Speaker and Listen users Phone 1300 555 727 then ask for (02) 8289 6520. Internet Relay users Connect to the NRS then ask for (02) 8289 6520. Need this information in another language? If you would like to talk about your application in your first language, you can ask for an interpreter through the Translating and Interpreting Service. Contact Create NSW for more information. Need a printed application form? Regional applicants with unreliable internet connections can ask to use a printed application form. If you think you will have difficulty submitting your application online, contact Create NSW before the closing date. Need advice on your application?